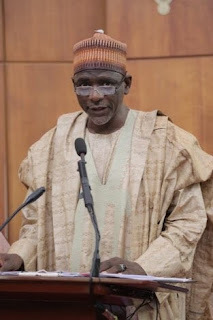 Federal Minister of Education Mallam Adamu Adamu Pledges to Enhance the Enrollment of Indigent Students into the Federal Unity Schools Nationwide. The Honourable Minister of Education, Mallam Adamu Adamu, has restated his determination to enhance the enrolment of indigent students into Unity Schools According to the Minister, the revival of comprehensive insurance cover for Unity Schools will not only enhance enrollment but also help these indigent students to realize their educational goals. The Minister added that a comprehensive Insurance Scheme for the 104 Unity Schools would dissuade students from dropping out of school and boost enrolment by 2020. Mallam Adamu Adamu stated this in Abuja at the just-concluded 8th Edition of the Ministerial Press Briefing. He said the insurance package requires each student to pay N5,000 per session as part of the school fees, adding that the payment entitles the parents or sponsor under the Student Welfare Insurance Scheme (SWIS) policy to a N500,000 one-off payment upon the student's death; a sum of N500,000 per session or a maximum of N2.5million upon the death of the student's parents or sponsor. In addition, students are also entitled to a N50, 000 medical support in case of an accident, or in the event of the death of the student's parents or sponsor and N50,000 burial expenses. He explained that the insurance policy also covers comprehensive fire and general peril for buildings and contents of all the Unity Schools, as well as the provision of comprehensive vehicle insurance coverage for all the 326 Unity Schools' vehicles valued at N947,26O0million. Under the scheme, three insurance underwriters and brokers would provide cover for schools in two geopolitical zones each for a total premium of almost §1.2billion a total coverage of N900 million per school for buildings, and N200 million per school for contents. In addition, two insurance underwriters and brokers are to provide comprehensive vehicle insurance coverage for the schools for a total premium of N70 million. Details of the participating insurance underwriters would be announced in due course by the Director, General Services, Federal Ministry of Education. The Minister, who declared that the benefits from the various schemes are enormous, lamented the pains of having students drop out of school owing to the loss of their parents or sponsor. He urged the insurance companies, Parent-Teacher Associations (PTA) and the schools’ principals to convey the details of the policy to all the parties involved.